The very odd Saturday night I hermit after work. My favourite night in consists of a bottle of Matusaleum 15yr old, 4 Fentiman's Ginger beer and some fresh limes. In order to make a really good 'Dark and Stormy' it must be a combination of these ingredients with a dash of sugar syrup and some crushed ice. For every other day this beer will definitely do. 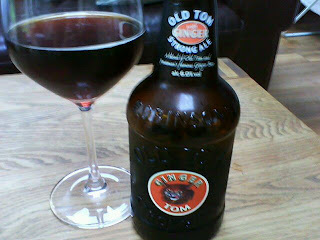 Ginger Tom- a mix of Old Tom strong English Ale with Fentiman's Ginger Beer. On the nose it's ginger, black pepper, coffee and malt. The palate is fresh ginger and that kind of spice that burns your lips, slight sweetness with hints of cola, coffee and some ripe fruit. The spiciness lingers in your mouth long after the ale is finished. This is really unusual and incredibly good. At 6% it's not a shandy but seriously easy to drink. A couple of these infront of the box and I'm happy. Available at Deveney's Dundrum €3.49 bt. Did you ever get more Anchor Steam in stock? It's en-route Chris, don't forget the tasting tonight.... anytime between 6.30pm and 8. 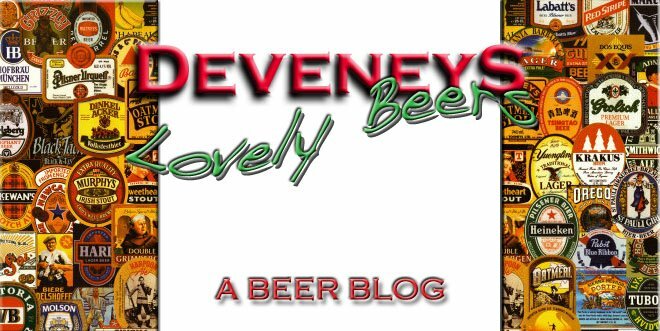 Deveney's Dundrum. See you here. Ruth. Quite liked the Ginger Tom, would have prefered a bit more ginger in it though a-la Blue Tongues but perhaps I had it a smidgen too cold. Brought a bottle in to my friend Barry the other night and was sure he'd go bananas for it - very disappointed when it was a negative.I was beginning to think I was the only person to like it - which wouldn't be a first. Did it not give you burnt lip syndrome?? no, but i LOVE ginger in food anyway. Very interesting stuff.....was a bit too cold at first but could still feel the ginger burn in my throat. As it warms up a lovely spicey nose appears, as you would expect I suppose. I could totally throw a shot of rum in this (I think I've said too much) and it would actually not even be noticed due to the tickle in my throat from the ginger. All in all, a very pleasant and funky libation, something I will share and recommend as it is definitely a conversation piece for beer enthusiasts. Chris, Anchor Steam has arrived.and the bock.... See you soon so! !